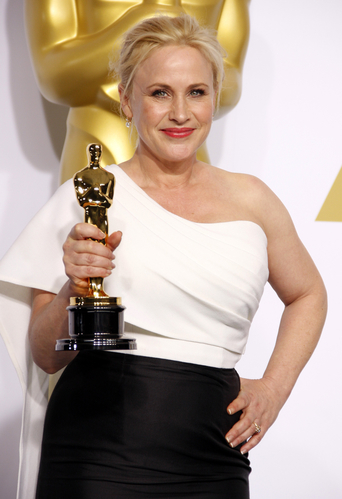 Patricia Arquette has had an interesting life. While growing up, her family lived for a time on a commune. As a child, she refused braces for her teeth, as she thought her flaws would make her a better actress. From starting in the movies in A Nightmare on Elm Street 3: Dream Warriors (1987) to winning an Academy Award for Best Supporting Actress, among other awards, for BoyHood (2014), she also has had star turns on television in Medium (2005-2011) and now on CSI: Cyber. Her father, grandfather, and great-grandfather were all performers, and her siblings are in the business. Now she’s going to write about it. Filed under Book Reviews and News, Quips & Quotes.